I really like incline walking on the treadmill and wonder why I never chose it for cross training before this year. Expect it to continue throughout the winter — WHAT A WORKOUT. It was nice to run outdoors again yesterday. I’m not running outside in the winter like I did in the past (too cold for me) so any time I am actually outside (like when it’s at freezing or above), it’s a real treat and much appreciated. My Boosts are still holding up (over 6 months now!) and I’m hopeful I can get through the winter before needing a new pair. 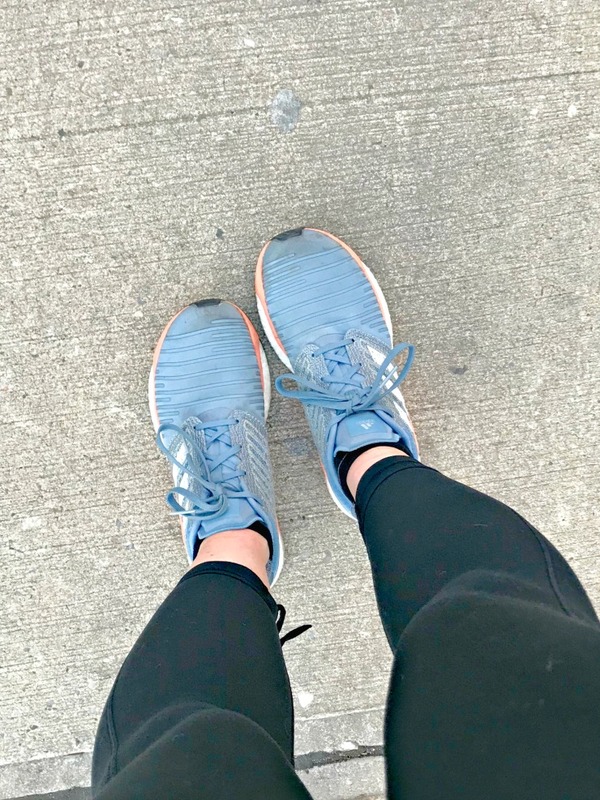 Running less definitely helps my running shoes to last longer which means saving some money! I’m still alternating my running shoes (with Saucony Rides) which continues to extend the life of both pairs. The first 3 miles were on the easier side in terms of speed (right under 26 minutes) but I ranged my incline to 4.0%. 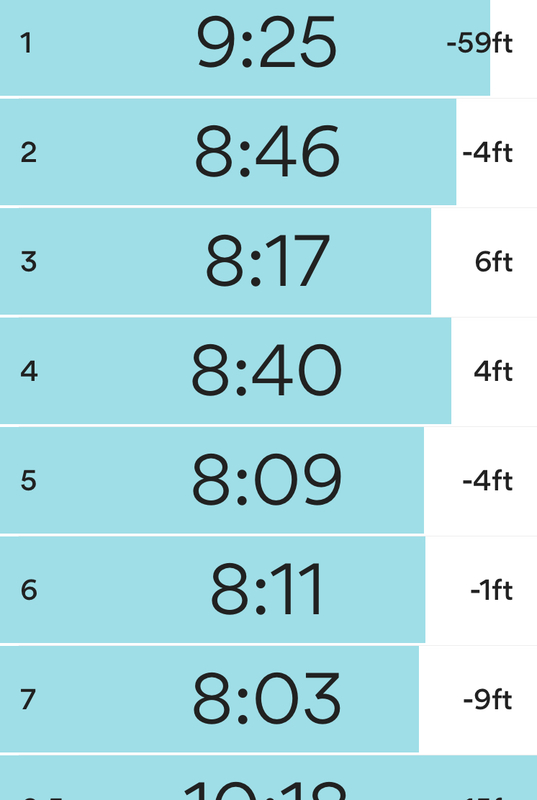 Last 2 miles were more focused on speed with extra focus on holding 8.0-8.2 for extended periods of time. 15 min treadmill incline walking — Woah. I know I keep saying it but definitely try incline walking on the treadmill if you want to get in a great cross training cardio workout. I ranged my incline between 8.0 – 12.0, holding a lot at 10.0 with my speed mostly at 4.0 – 4.3. Also, I did a few sets of with free weights for upper body/squats/lunges. I always take out my 3 lb and 5 lb free weights for Pure Barre but lately I don’t use the 5 lb weights as often. I think I do better with the 3 lb (or even no weight for triceps) because I can keep my form better and complete the circuits without stopping. Using lighter weights or no weights isn’t at all affecting my strength and ability, I think it’s helping. 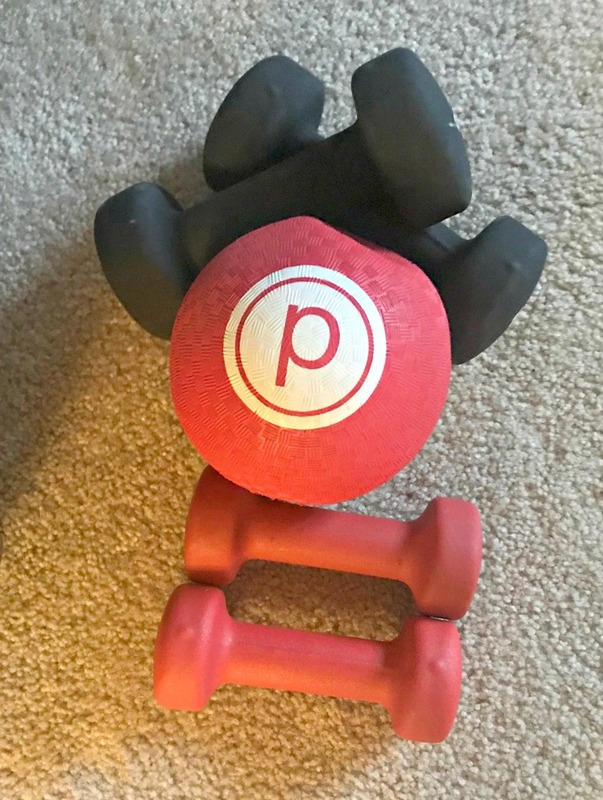 When I’m in the gym, I am definitely feeling stronger with the heavier free weights (like the 15 lb free weights) which means Pure Barre exercises definitely increase your strength — even with little to no weight. I cooled down at a speed of 6.5 with incline of 3.0-5.0 until I hit 4 miles and then cooled down with incline walking until I reached 40 minutes (like 6 minutes of incline walking). I don’t even remember the last time I ran outdoors — has it been a full month? It was 32 degrees with no wind so I figured outside was the way to go. I really enjoyed this run. No plan at all but naturally picked up the pace as I went. At 7 miles, I cooled down until I reached my front door which took me to a total of 7.5 miles. Which running shoes are you rotating right now? Are you due for a new pair? Do you like incline walking on the treadmill?